This Amethyst Piece measures around 25mm-50mm. Your Amethyst will come boxed and will include an inf..
60-70mm Rose Aura Quartz Heals a broken heart and gives you the strength to move for..
40mmRose Aura Quartz Heals a broken heart and gives you the strength to move forward.&nbs..
Smudge Stick - Burn your smudge stick at the end and let the smoke cleanse your crystals and then us..
A beautiful hard wooden spell book with metal hinges and twine binding. 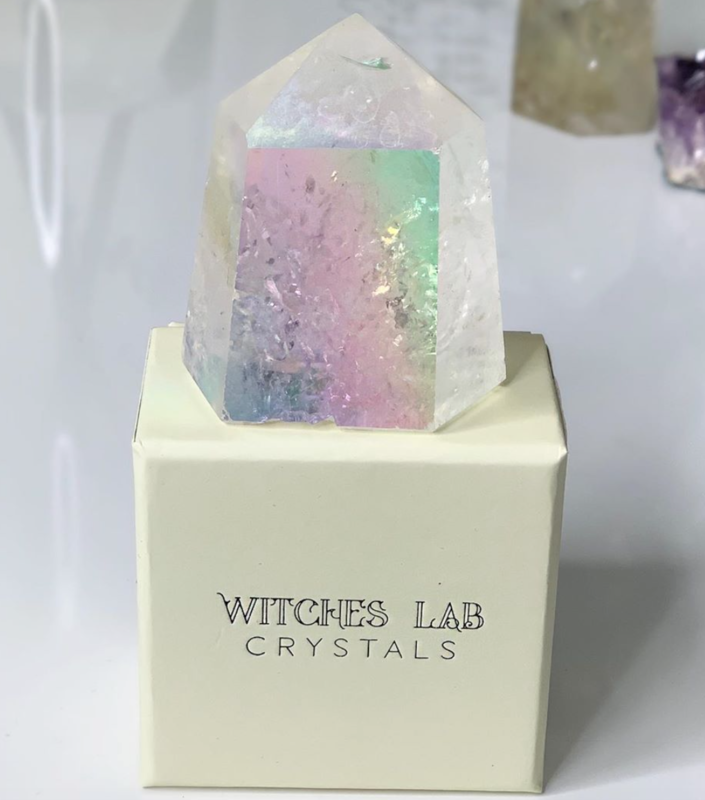 Perfect for writing notes, m..
A beautiful Titanium Quartz Pendant Titanium Quartz Healing on the mind and ..
18 inch gold plated or silver plated cluster pendant with a gold/silver plated dipped rough Ame..
A stunning electroplated Amethyst Point Pendant on an 18' chain. Serenity stone, creates a calm..